The Super Bowl has concluded and with that said, let the rumors begin. Hold on to your seats, Browns fans. This off-season is sure to get interesting. 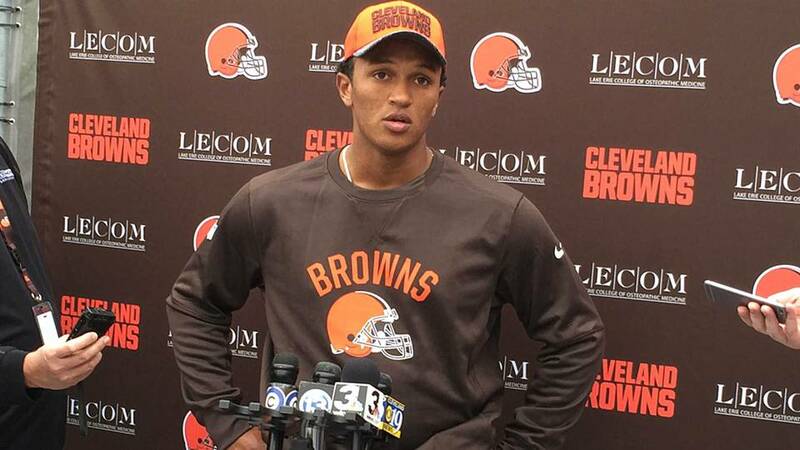 According to reports, Browns quarterback DeShone Kizer had been spotted in Buffalo, New York this past weekend. While the rumors have been anything from a potential trade in the works or simply visiting the city, people can’t help but speculate on the endless possibilities of why the Cleveland signal-caller is there. So is Kizer simply visiting a friend? Or is he perhaps shopping around for a house in the Empire State? Though it is only an idea to entertain for the sake of entertaining ideas, the Browns could try to work out a deal for Bills quarterback Tyrod Taylor. Taylor and Buffalo have hit snags in contract incentives in the past and it could make the Bills more eager to ship him for a top draft pick and a young quarterback. With Nathan Peterman being the only young backup option for Buffalo, Kizer could be in play. Maybe he was just visiting! Buffalog is on the rise right now in case y’all in Cleveland haven’t noticed. And not talking about the Bills ’cause we finally busted the drought…The city is on the rise and even peeps in NYC are really noticing it. Come visit this summer! (Buffalonian here who lived in ‘the Land’ for 3 years,(2004-2007), and loved your town!). Too bad there’s no edit key, BUFFALO! ha ha.